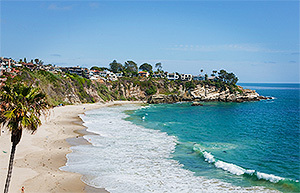 Laguna Beach is one of our FAVORITE team building locations in Orange County. With it’s cute seaside village appeal and strong ties to the art community, it’s a unique Southern California destination. Their downtown is the perfect blend of shopping, dining and art making it ideal for our Amazing Race style Throwdown Rally. Hotels like the Montage, Surf and Sand, Ritz Carlton, Pelican Hill and St. Regis are a short drive down Pacific Coast Highway. Team building activities from any of those Orange County properties means a short drive time and maximum fun. One of our favorite features of the beautifully designed cliff top park in Laguna Beach is the Lawn Bowling Club. We love it when our clients get dressed up in their whites for a unique tournament style event, overlooking the ocean, and only available here. 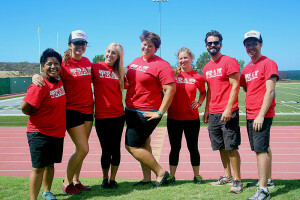 Whether you’re wanting an Amazing Race style scavenger hunt, Minute to Win It challenge, or Beach olympics style event Laguna Beach can host them all. And We can make it happen! Call us at 877.267.1939 to plan your next Orange County team building event or email james@fireflyteamevents.com. Techno Rally Scavenger Hunt – Discover the quaint charm of this lovely seaside village with one of our scavenger hunts. Tactical Team Challenge – This high tech tactical simulation will explore team concepts in a truly unique setting. You cannot experience this anywhere else in the country. Minute To Win It – Your team will be tested with these deceptively simple games. Each round features a new game and a new way to earn points. This is the perfect light team challenge for cocktail hour or a break from meetings. Lawn Bowling is the perfect blend of relaxation and team effort for your next team building event. Challenge your group to dress in the traditional lawn bowling “all whites” apparel and step onto the greens. The ocean view is stunning as you attempt to out bowl the rest of the teams. It’s a unique competition where skill rather than physical strength will bring you victory. Contact us for more details on this classic cocktail sport. This seaside village has a downtown area well suited to wandering, dining, and shopping. It’s perfect for a group scavenger hunt or dine around. A stunning ocean view is the backdrop for team building activities when you stay at the Montage. Their lower lawn and clifftop paths are the perfect spot for hosting your next team event. It’s recent renovation has brought art and beautiful landscaping to the cliff tops of Laguna Beach. Outdoor events are a great match for this beautiful location. The Ritz Carlton has several event lawns and spaces that serve team building events well. 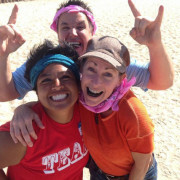 The neighboring Salt Creek Beach is perfect for our Iron Team Challenge or Team Graffiti Challenge. Events at the Ritz Carlton Dana Point are always memorable! Dana Point Harbor is where most of our Dolphin, whale watching, and deep sea fishing tours depart from. Home to the Ocean Institute and two ships reminiscent of pirates and high seas, Dana Point has a lot to offer visitors. If you’re not looking for water based activity we can arrange for one of our Team building events utilizing Lantern Bay park with overlooks the harbor. Staying at Pelican Hill puts you close to Newport Beach and Laguna Beach for your team building. In addition to their event spaces and lawns, you can take your sales group or manager’s meeting off site for some scavenger hunt fun. Or stay onsite for a cocktail hour Minute to Win It challenge.